Miss Julia Grey is an orphan who hs grown up in the home of her mother's relatives, the Wilherns. She regards her cousin, Phoebe Wilhern, as a sister, and Phoebe returns the feeling. The elder Wilherns regard her more as a poor relation and useful companion for Phoebe. But all seems good until Phoebe falls violently in infatuation with Lt. Nicholas Langdon, a second son who really has to marry a woman with a good dowry--but who has already been burned once. His former fiancée, Henrietta, threw him over for a much older, but also much richer, man. She is now the widowed Mrs. Tromberg. Langdon likes Julia much better, but can't possibly marry without money on either side. But all that is as nothing beside the fact that he has brought home from the war a diary given him by a dying soldier who asked him to deliver it to someone at the War Office. After an alarming experience, he makes a copy before delivering it to the War Office, which proves to be a good thing when he is attacked on the way there and the original stolen from him. Who could have known what he had? He only mentioned the diary once, before he realized what he was carrying. That was at an evening party at the Wilhern residence. And only a few people could have heard him--most notably the old school friend he'd been talking to, Mr. Hugh Edgerton. Who is unexpectedly a suitor for Miss Julia Grey. Much excitement, of course, follows. I wouldn't examine too closely the faithfulness to the realities of Regency England, but there a few screamingly painful inaccuracies. This is a book, unlike many Regency romances, that is aware of the injustices of Regency society, and that they go beyond impoverished ladies having to work as governesses. And I like the characters. I'm a sucker for good characters. 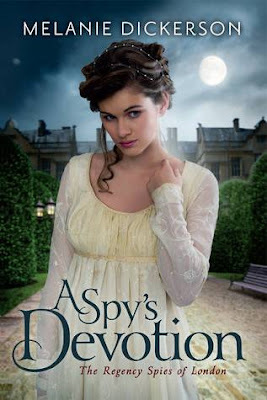 This isn't great literature, but it is a thoroughly enjoyable read if you enjoy Regency romance with a dash of suspense. And on that basis, recommended.